A new design in our Fabulous bed of roses round. 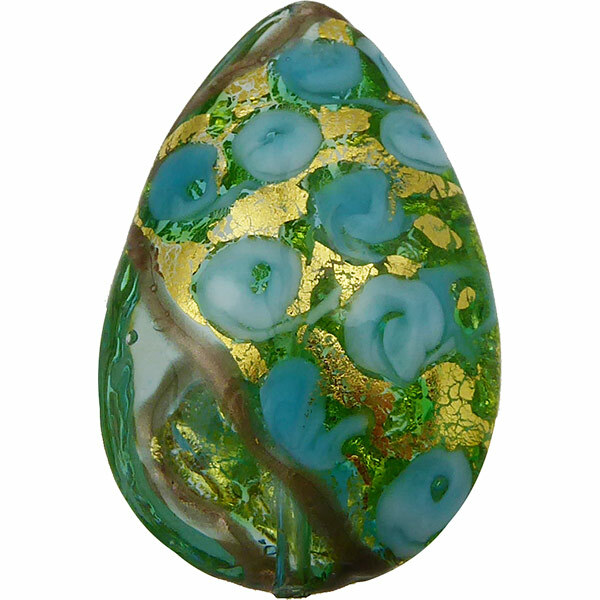 Complex authentic lampwork Murano glass bead with a base of transparent pale aqua Murano Glass and on top drawn in melting glass little roses and decorations and splashes of 24kt gold foil. 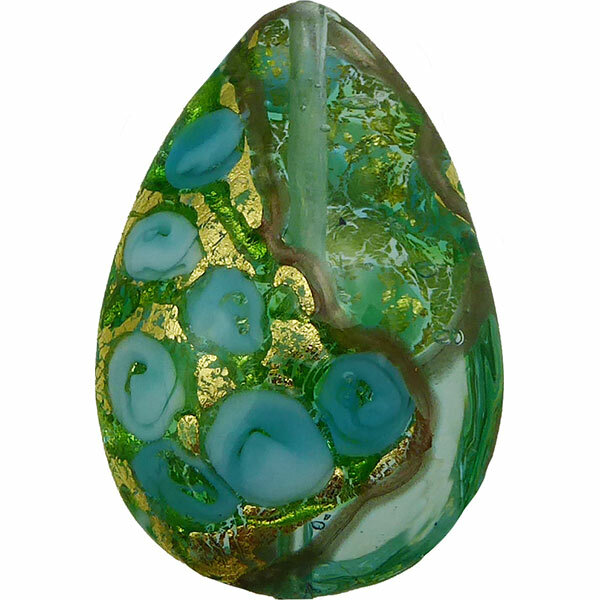 The size is approximately 40mm in length and 22mm across and 12mm thick. A vertical 1mm hole runs top to bottom. Note that there may be bubbles in the clear glass used in the overlay. This is normal and not a defect. No two ever exactly alike. These match with our larger Bed of Roses discs. Note that the back side does not have the full coverage shown on the front.